On Veterans Day, we honor those who have served in our military. Well-meaning people often confuse Veterans Day with two other holidays. Memorial Day honors those who died in service of their country. Armed Forces Day honors those who are presently serving. Mullarky Business Systems says thank you, to all of our American Veterans. On a personal note, we look forward to welcoming Sean Mullarky home this month from his first deployment overseas. We’re proud of you, Sean, and happy to see you coming home. 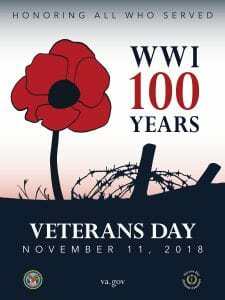 Mark, nice article about Veteran’s Day. A nice reminder of how we should all show our gratitude to our veterans. Thanks, Mark. Used this post for several clients and myself, with your permission. Very thoughtful of you. And thank Sean for us, too!